Check out Tobi's Melanie Chunky Chain Bracelet Yup, it's all about the chunky chains. The Melanie Gold Chunky Chain Bracelet features a cool curb chain design. This chained unisex bracelet will look stunning with all your layers of bracelets and necklaces. Yup, it's all about the chunky chains. 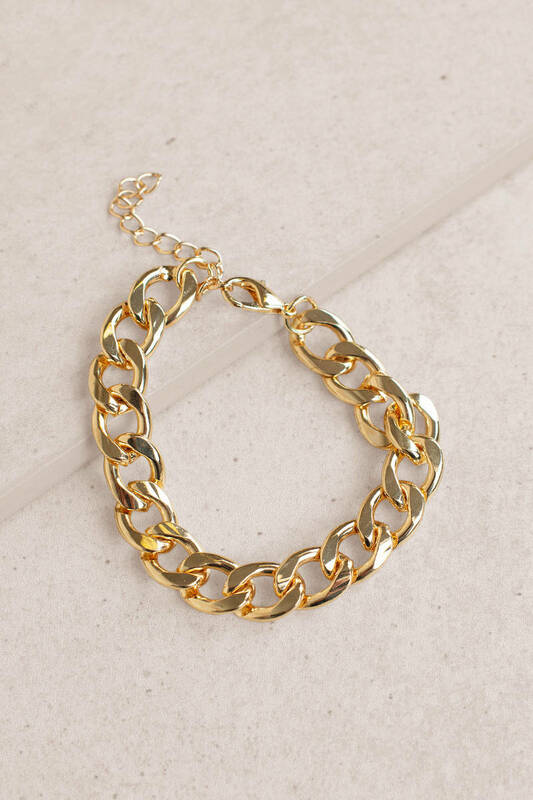 The Melanie Gold Chunky Chain Bracelet features a cool curb chain design. This chained unisex bracelet will look stunning with all your layers of bracelets and necklaces.